Consider becoming a CWIP Partner to further your business goals, increase your exposure in the publishing industry, and help educate your own employees. There are two ways to partner with Chicago Women in Publishing. Corporate Membership: Businesses and other organizations that partner with CWIP as corporate members will receive the following substantial benefits for only $300 per year (worth over $700!). Post your organization's open jobs on the members-only CWIP Jobvine site. Visit our Jobvine page to post a job for free today. Join now and easily pay via PayPal. Just choose the Corporate Membership option. CWIP Sponsorships: Customized sponsorships are available for CWIP events to receive valuable exposure to our many attendees and CWIP members, both at the events and through the CWIP website, our nearly 1,000 digital newsletter recipients, and various social media channels. You will have a table to distribute materials and the chance to speak at the event about your organization and its benefits for the audience. Additionally, if there is a printed program, such as for our Fall Kickoff event and the Publishing Fair, you will receive an advertisement. Pricing is reasonable and varies by the event and/or ad size. Please contact us through info@cwip.org for more information on sponsorship opportunities, and partner with CWIP today. Since its origins in 1890 as one of the three main divisions of the University of Chicago, the Press has embraced as its mission the obligation to disseminate scholarship of the highest standard and to publish serious works that promote education, foster public understanding, and enrich cultural life in ways that inform and engage general readers. We develop reference works and educational texts that draw upon and support the emphases of our scholarly programs along with significant non-scholarly work by writers, artists, and intellectuals from within and beyond the academy and books that contribute to the public's understanding of Chicago and its region. DePaul University prepares its students to see beyond what's obvious, into the world of what's possible. DePaul offers more than 150 graduate and doctoral degrees in writing and publishing, business, technology and computing, communications, education, law, liberal arts, health and science and more. You'll learn and thrive in a high caliber, challenging learning environment that is respected by employers, community leaders and other universities. DePaul's hands-on, practical learning philosophy gives you access to the brightest academic minds that challenge conventional thinking and bring real-world experience to the classroom. Located on the north side of Chicago, Loyola Press is a leader in instructional products for the Catholic school, parish, and special needs markets. Loyola’s award-winning adult trade and curriculum programs engage children by providing high quality resources developed through innovative and strategic methods. Just a few blocks west of Wrigley Field, Loyola Press offers a high quality of life working with committed, creative people in a vibrant and collaborative workplace. Our team helps children of all ages prepare for school and life success. 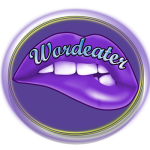 Wordeater is the literary and creative arts magazine of Joliet Junior College. 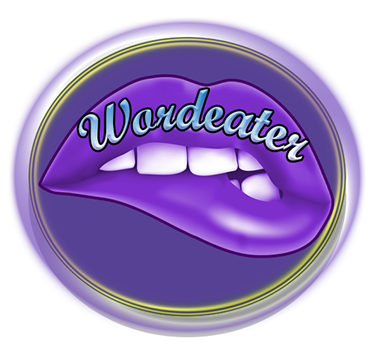 Wordeater exists as a forum of creative expression for the Joliet Junior College community, including students, alumni, faculty, and staff. It celebrates the diversity of ideas, beliefs, values, language, media, and people of its community. It seeks to promote artistic, personal, and political expression, democratic values, and social justice, including fairness and equal opportunity, rights, and access. It is published biannually (spring and fall). Sales through bookstores are declining every year. APSS is here to help you find the best ways to sell your books. This may be through bookstores or to non-bookstore buyers (people who can buy in large, nonreturnable quantities), or most likely through some combination of the two. APSS is the premier source of information, education, and help for publishers (and self-publishers) of high-quality content in printed, electronic, or audio form for sale to consumers, non-bookstore retailers, and non-retail buyers. CWIP members can join APSS at a discounted rate of only $60 (a $30 savings!) because CWIP is an APSS partner organization. The APSS is a treasure trove of book sales and marketing opportunities for those interested in selling to the very large non-bookstore market. © 2016 Chicago Women in Publishing. All rights reserved.